Transporting a vehicle is never an easy task. There is paperwork to be filled out, people have to make sure they will be at the location, and the payment for transporting the vehicle has to be dealt with too. People invest a lot of money into their vehicles and want them to be as safe as possible during the transportation process. One of the biggest questions people ask is if open trailers or enclosed auto transport is better for their vehicle? Here at Door to Door Transport, we’ve been providing a motorcycle shipping service for over 30 years. We know how much people adore their vehicles, and we want to provide the best service possible. The initial cost for shipping a vehicle is high either way, but people often want to know which is the cheaper option. Open trailer transport is the cheaper option. This is due to the vehicle simply being strapped to the back of a trailer and driver to its destination. The vehicle may or may not be covered by a tarp, but it is delivered. Open trailer transport can also involve the shipping for other vehicles alone with the chosen one depending on its destination. Enclosed auto transport is more expensive, but it also offers several more advantages. We do provide a free quote to each of our customers who come to us asking about our motorcycle transport service. We understand people want a good deal, but we also understand they deserve the best service too. While open trailer transport for a vehicle is cheaper, it’s also not the safest for the vehicle. Open trailer transport exposes the vehicle to the mercy of the road and the elements. When the vehicle is being transported it can also be seen by anyone passing by too. The vehicle can suffer damage from debris left on the road and kicked up by other vehicles. When it rains, snows, or even hails the vehicle is exposed to these elements too. Once the vehicle it arrives it could be damaged during transportation. Enclosed auto transport is the much safer option for transporting a vehicle. The vehicle is completely enclosed during its transfer from Point A to Point B. There is no chance of debris or the elements getting to the vehicle. The best part is you receive your vehicle in the exact same condition you left it in too. There’s no reason to worry about it being damaged, stolen, or scratched up during transport. Which One is the Best Investment? Motorcycle transport services can be expensive, but we are often asked which one is the better investment. Picking the cheapest auto transport service does not always mean you receive the best service. The best choice you can make is to choose the transportation service that best reflects how you feel about the safety of your vehicle. Vehicles that are classics or collector’s items should be transported using enclosed auto transport. These vehicles are usually one of a kind and can be nearly impossible to be replaced if they’re damaged. People wanting to protect these investments should go with the enclosed transport service just to ensure their vehicle is completely safe. Open trailer transport is meant for more common vehicle transports. Vehicles people use on a daily basis to get to work, home, run errands, pick up the kids, and other day to day activities. The vehicle may suffer some damage, but there is also the chance nothing at all can happen. When the vehicle is damaged, it’s not a huge investment to replace it in the first place. 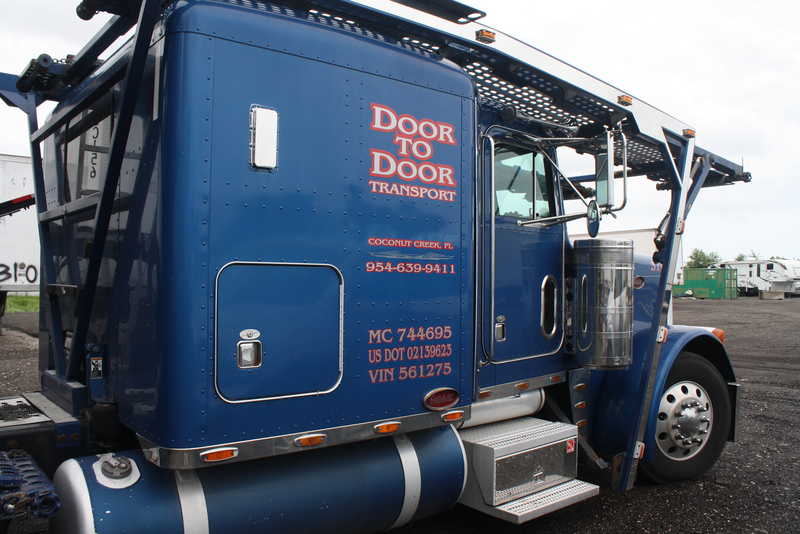 Here at Door to Door Transport, we believe in providing a trustworthy service for our customers. We don’t want people second guess their transportation service company. We encourage customers not to choose the auto transportation based on the price. We provide the best service available and all the information you need to make the best decision for the transportation of your vehicle.